The modern way of Affordable Shade sails waterproof 4U has a multiple sizes, shapes, colours and accessories available. As a local family owned business, Shade Sails 4 U has been operating on the Gold Coast for 20 years. Servicing the Gold Coast, Redland Shire & Brisbane’s Redland Bayside & Logan City’s, Eastern Suburbs. 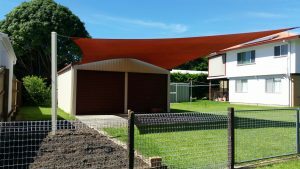 Contact affordable services Shade Sails Yatala 4u at 0401 54 54 34 for free online quotes and more services of Affordable shade sail gold coast to Brisbane. As a locally operated family business, affordable services Shade Sails Yatala 4 U pride themselves on providing prompt, reliable service, quality workmanship and sails that are manufactured to a high standard in our factory, providing a finished product that is sure to please. Shade Sails 4 U, provide assistance with outdoor design, colours and suitability of Sun Shade Sails for your family’s outdoor lifestyle living requirements. Providing Shaded Areas for staff to Relax or Perform Daily tasks while Protected from our Hot Sun. The ideal solution for Cafes, Carwashes, Staff Outdoor Lunch Areas, Smoking Zones, Yard Work Areas, Vehicle protection for Caryards. affordable services Shade Sails Yatala over an industrial business entrance provide much needed shade but in a Bright or Fluro Colour, Shade Sail are a great form of advertising, catching the eye of potential new customers to your business.